PURPOSE: To mix the color channels from an image into a grayscale image and tints it. DESCRIPTION: COLORATION mixes the color channels from an image into a single grayscale image using a weighted combination and then tints it in a manner similar to GIMP Colorize and using argument values similar to those used by GIMP. The script generates a color look up table (lut) and applies it against the grayscale version of the image. The lut can be saved, if desired, for future use and will have a size of 256x20 pixels. 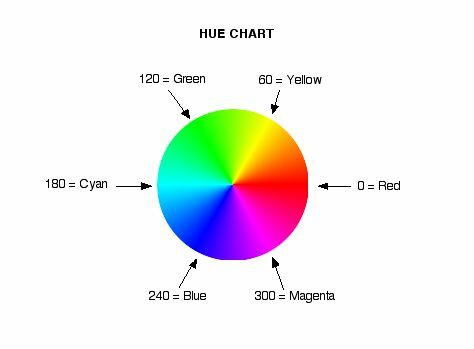 -h hue ... HUE value to use for coloration. The values are integers either in the range 0 to 360(degrees) or 0 to 100(percent) depending upon the units argument. The default=0 (red). -s sat ... SAT is the saturation value to use for coloration. The values are integers in the range 0 to 100 (percent). The default=50. -l light ... LIGHT is the lightness value to use for coloration. The values are integers in range -100 to 100(percent). The default=0 is the normal amount of lightness. Larger values will use IM colorize to mix pure white with the result. Smaller values will use IM colorize to mix pure black with the result. -r red ... RED is the red mix percent (weight) in forming the grayscale image. Values are (pos. or neg.) floats. The default=29.9 is equivalent to IM non-linear grayscale. Nominally the r,g,b,o weights should total 100%. Weights are not relevant to form=desat. -g green ... GREEN is the red mix percent (weight) in forming the grayscale image. Values are (pos. or neg.) floats. The default=58.7 is equivalent to IM non-linear grayscale. Nominally the r,g,b,o weights should total 100%. Weights are not relevant to form=desat. -b blue ... BLUE is the red mix percent (weight) in forming the grayscale image. Values are (pos. or neg.) floats. The default=11.4 is equivalent to IM non-linear grayscale. Nominally the r,g,b,o weights should total 100%. Weights are not relevant to form=desat. -B bright ... BRIGHT is the percent change in brightness during processing. Values are floats in the range of -100 to 100. The default=10 (to match GIMP better). -C contrast ... CONTRAST is the percent change in contrast during processing. image. Values are floats in the range of -100 to 100. The default=-10 (to match GIMP better). This is equivalent to the following IM commands for units=degrees.